As human beings, we all feel comfortable on solid ground. For as long as we can remember, our ancestors have traversed these terrains and sustained themselves by living off the land. From precious stones to the weirdest mementos, we have discovered quite a bit by toiling in the mines of history. But what about the ocean—that vast, unknown space that may well engulf us all one day? Some of the most unique artifacts have been discovered in the depths of the sea, including giant ships, temples, pyramids, and cities. In October 2014, divers off the coast of Italy discovered the remains of a shipwreck. Although the object had already been detected before the dive, it was only after reaching the location that the team realized the magnitude of their discovery. It was the remains of a 2,000-year-old Roman ship. The boat was 15 meters (50 ft) long and believed to be either a merchant ship or a military vessel. Terra-cotta pots were discovered in the wreckage, indicating that the cargo had included olive oil and wine. The ship is purported to have been an active transport vessel between Rome and Carthage from 218 BC to 210 BC. Named Panarea III, the ship has provided significant insight into the dynamics of ancient trade in the Mediterranean as well as daily life at that time. In 2000, Franck Goddio, founder of the European Institute for Underwater Archaeology, made a groundbreaking discovery while searching for sunken sites in the western part of the Nile Delta. In the Mediterranean Sea, Goddio and his team found nearly 250 Egyptian artifacts that were linked to the submerged cities of Canopus and Thonis (aka Heracleion). These findings provided significant insight into these cities, which had sunk into the sea due to natural disasters in the eighth century AD. Given their rich history and the association of Egyptian mythology with the god Osiris, these artifacts enhance our knowledge of the history of the region. Further investigation suggested that a canal connected the cities of Thonis-Heracleion and Canopus, pointing to their connection with the ancient city of Alexandria. The artifacts were exhibited in Paris from September 2015 to January 2016. Among the many notable instances of Indian history and mythology, one stands strong in the form of a submerged ancient city off the coast of western India. Known as Dwarka (“Gateway to Heaven”), the city is believed to have been constructed by Lord Krishna with the help of Vishwakarma (the deity of construction). Krishna is purported to be the eighth avatar of Vishnu. He descended to Earth to help humanity solve its problems and restore a reign of peace and prosperity. Based on archaeological excavations around the area of the now-submerged city, evidence of human settlements has been found from the 15th and 16th centuries BC. According to mythology, the city was flooded and then submerged into the Indian Ocean with the death of Krishna and his passing from this world. However, even to this day, the site attracts believers from all around the world who revere the power of Hinduism and Lord Krishna. The ancient city of Pavlopetri, the oldest-known submerged town, may contain some of the most ancient artifacts in living memory. Discovered in 1968 by Dr. Nic Fleming and his team, who dated the town to the Bronze Age around 2000 BC, the site’s importance remained unnoticed for the next 40 years. However, with the help of modern technology, the location has been redated as approximately 5,000 to 6,000 years old. The submerged town, located off the southern Laconian coast of Greece, was discovered from its unique store of Neolithic pottery. The site’s protection by natural geography has preserved it all these years. Investigation is underway to discover the many novelties of Pavlopetri. According to a November 2011 article in National Geographic, giant pieces from the ancient continent of Gondwana (a supercontinent once comprised of India, Australia, and Antarctica) were found submerged in the ocean. These pieces formed during the separation of the landmasses into their current sizes and locations. Little information was available initially, so deep-sea exploration and excavation were needed. During their search, scientists discovered some unique features—such as the presence of granite, gneiss, and sandstone—which are usually found in continental entities. Fossil samples also appeared to be from Gondwana, with rolling terrains further confirming these notions. 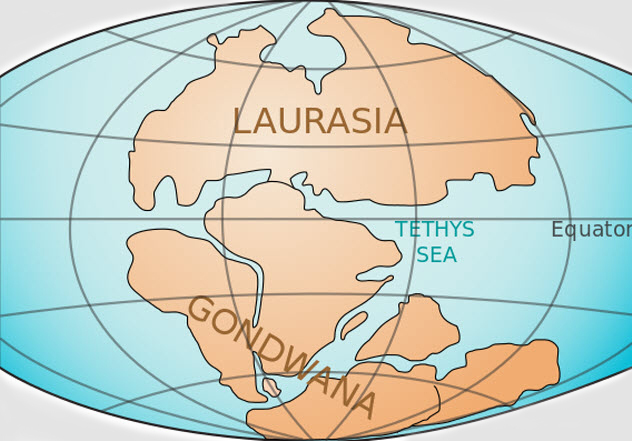 While the continental chunk has purportedly been linked to the Gondwana separation 130 million years ago, there is still much more to uncover about this mystery. Another Roman shipwreck has been discovered off the coast of Antikythera, Greece. A whopping 55 meters (180 ft) under the surface, this 2,050-year-old ship rested peacefully until underwater archaeologists were able to use advanced technology to reach the site and bring forth its many novelties in 2015. After about 40 hours underwater, the divers were able to find unique artifacts such as a bronze armrest (possibly part of a throne), a bone flute, ancient board games, luxury ceramics and glassware, and an ornate lagynos (table jug). This site also yielded the Antikythera mechanism, an intricate clocklike machine that was purportedly used to analyze astronomical findings. The Greek civilization is known for its prowess in cultural, academic, and social spheres—from its loose collection of city-states to the famous Olympic Games. However, among the most famous Greek cities, Helike is the one that often escapes our notice. Situated in Archaea in the northwestern part of the Peloponnesian peninsula, Helike was one of the leading cities in ancient Greece. Due to unknown natural factors, Helike was completely obliterated in 373 BC, only to be rediscovered in the 19th and 20th centuries. Many theories existed about its submersion and possible location in the Gulf of Corinth. However, it wasn’t until 2001 that a preserved Helike was found in an inland lagoon under a layer of silt. In 2012, the location was finally confirmed by the destruction of the silt layer. But the myth still holds that the city was destroyed by the wrath of the patron god Poseidon. One of the most revered temples of Mahabalipuram lies in the southern reaches of the Indian subcontinent off the coast of Tamil Nadu. Indian mythology holds that seven temples existed in the area, jointly called the Seven Pagodas of Mahabalipuram. Such was their grandeur and luxury that the gods became envious of the creation. They brought forth a tsunami to wipe out and submerge six of the temples, letting only one stand as the shore temple. During a recent expedition spearheaded by best-selling author Graham Hancock, one of the lost temples was discovered off the coast of Mahabalipuram. Foundations, broken pillars, steps, and scattered stone blocks were just a few of the many findings that indicated the existence of a large area for exploration and investigation. This is one of the most groundbreaking discoveries in the region. It provides strong evidence for the validation of stories that have been passed down through the generations in Mahabalipuram. 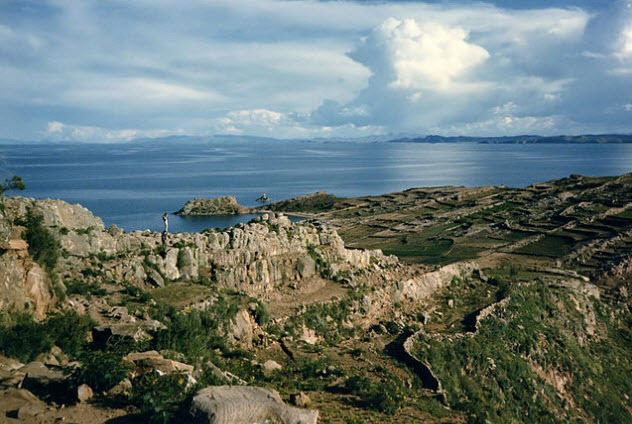 Cradled in the Andes between Bolivia and Peru, Lake Titicaca is a site of great historical and cultural importance. Known to have supported many civilizations over the centuries, the site is also home to many religious myths and beliefs. In 2000, a diving expedition by a team of international archaeologists found the ruins of a mysterious underwater temple. At a whopping 200 meters (650 ft) by 50 meters (165 ft), the submerged temple is believed to be 1,000–1,500 years old. That was the time of the Tiwanaku people, who existed before the Incan civilization. In addition to the stone and gold artifacts in the temple, long roads and terraces for crops were also found, indicating a much larger discovery than initially realized. Life in 17th-century Port Royal, Jamaica, was marked by the hedonistic ways of pirates. With its brief history of Spanish and English colonization, Port Royal experienced rapid expansion over its 37-year existence. Then two-thirds of the port sank into the Caribbean as a result of an earthquake and tsunami at precisely 11:43 on June 7, 1692. The accurate dating of the incident, pinpointed by the discovery of a pocket watch with its hands frozen at the moment of the disaster, is one of the many factors that make this event so exciting to learn about. Underwater searches uncovered many crucial findings about life in this bustling port city, which was preserved in a low-oxygen environment in the depths of the sea. From excavated buildings to undisturbed landscapes, the discovery provided significant insight into the day-to-day workings of this 17th-century town at the peak of its existence. I love medicine, writing, and challenges. I am eagerly looking forward to attending medical school in the near future, finally fulfilling my lifelong dream of becoming a physician. I also love to express myself through my writing, and I believe that one of the best ways to grow as a person is to take on challenges and learn from them. I am a passionate advocate of making mistakes and building on one’s skills and talents to take the world by storm.